Meditation is a way of life and one should do this first thing in the morning. It is one of the best ways to know thyself and stay connected with your eternal essence. Daily practice of meditation increases your focus, reduces stress, improves quality of sleep and prevents from many ailments as every cell in the body is filled with more energy and you feel satisfied, happy and joyful. It also decreases mental illness, aggressiveness and clears phobias and fears. There are different techniques to do meditation such as Mantra Meditation, Chakra Meditation, Music Meditation, Mindful Meditation, Zen Meditation, Breathe Awareness Meditation, Focused Meditation etc. but Music Meditation is one of the most simple and effective way of meditation. All over the world, different types of music such as Classical music, Primordial sound, Nature Sound, Instrumental Music are being used by meditation centres, but Indian classical music played with the help of flute is the most soothing music for body, mind and soul. Indian Flute is one of the most melodious instruments and many people play flute music while doing meditation especially . 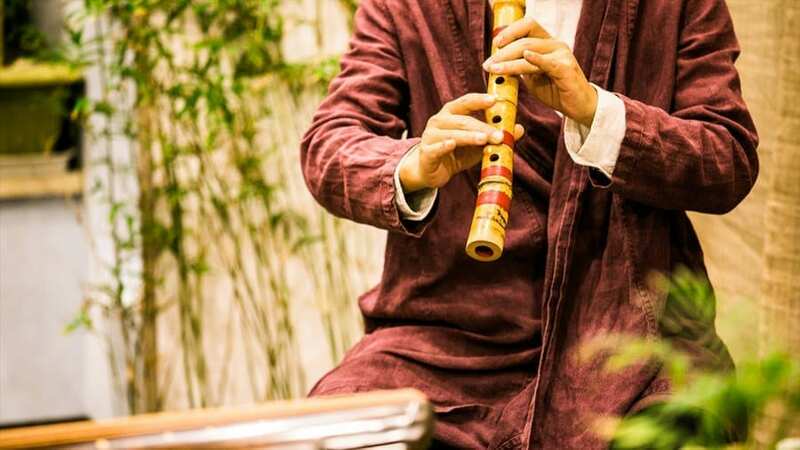 The sound of flute makes meditation session more enjoyable and improves the concentration power of the listener and also enhances the experience of meditation. It has been proved that flute music is one of the best music which is recommended by experts due to its soulful tone . 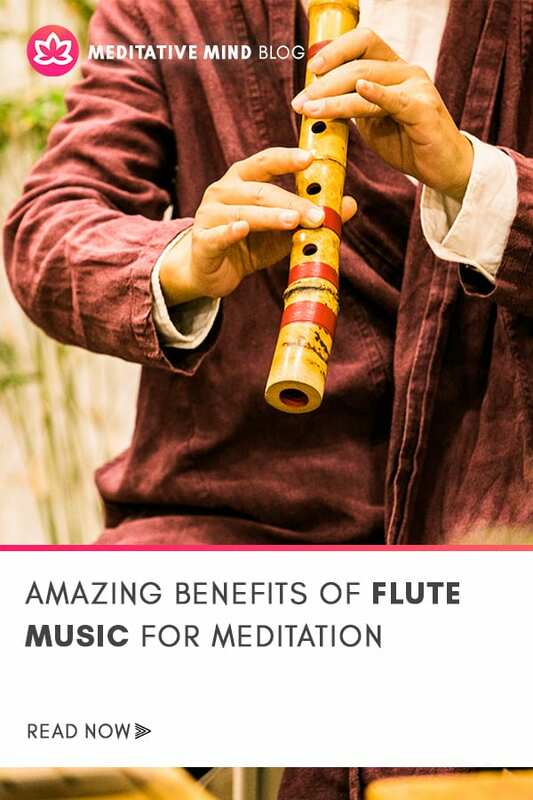 Following are the some benefits of flute music for meditation. Relaxes Body, Mind and Soul: Flute Meditation Music helps to still the mind which in turn relaxes the body. Research has shown that only 20 minutes of meditation gives benefits equivalent to 6-7 hours of sleep. Meditation is an easy and natural way of healing the body. Relaxes the Nervous System & stressed muscles: Flute Music has the power to reduce negative effect of anxiety, stress and depression as it soothes the nerves. It also slows down heart rate and takes you to a state of deeper than sleep stage and soothes the stressed muscles. Reduces Stress: Listening flute music helps in reducing stress. Whenever, one feels stressed for one or the other reason music listening for even for a few minutes can restore your inner peace. It is one of the best way to de-clutter the mind which reduces stress. Reduces Anxiety and Depression: Anxiety is one’s inability to regulate emotional responses to apprehend threats. Classical Indian Flute music is very helpful in reducing anxiety and also to control depression. Research has found that it is very effective way to treat depression. Helpful in post operative healing: As music has power to relax the brain and the body which is very much helpful in regulating the mood and enhancing the immune system, it also improves the blood flow to the affected area of the body which in turn helps to control pain and patient feels relaxed and process of healing becomes fast. Cures Insomnia: The sweet sound of sleep make you relaxed and calm which improves the sleep quality. Power of flute music will gives you peace and satisfaction which further helps to cures insomnia.